The Pumps textbook explains how pumps are used and the principles of their operation. It covers a wide variety of pumps, including reciprocating pumps and various kinds of rotary pumps. A lesson on special-purpose pumps describes diaphragm pumps and pumps used for corrosive and abrasive materials. The final chapters deal with the maintenance of pumps, including the replacement of packing glands, seals, and bearings. Does your curriculum require additional topics not included in this textbook? 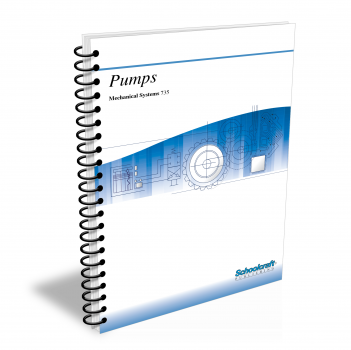 Build a customized version of the Pumps textbook below. Describe dead-end and recirculating hot water distribution systems. List several special considerations involved in chemical pumping systems. Define the term viscosity and give examples of high-viscosity materials. Tell the effects of heat on the pumping of high-viscosity materials. List some special problems involved in the pumping of solids. Describe suction head and suction lift pumping conditions. Tell what three elements make up total dynamic head. Contrast liquid, brake, and electrical horsepower. Tell what useful information can be gained from pump curves. Describe the function of the following: pump casing, shaft, impeller, wearing rings, and stuffing box. Contrast frame-mounted and close-coupled end-suction pumps. Give characteristics of fluids pumped with open, semi-open, and closed impellers. Name an advantage and a disadvantage each for stainless steel and brass shaft sleeves. Explain the construction of a line-shaft turbine pump. Name the two types of flow possible in a propeller pump. Tell the function of diffuser vanes in an axial-flow propeller pump. Define electrochemical corrosion and state its cause. Describe fluids that can be pumped by a regenerative turbine pump. Describe the fluids that can be pumped by a rotary pump. Explain the operation of external- and internal-gear pumps. Describe the parts and construction of a lobe pump. Compare and contrast timed and untimed screw pumps. Tell why sealed bearings might be used in a vane pump. Name the parts that make up the power end of a reciprocating pump and describe their operation. Define the terms single-acting pump and double-acting pump. Compare simplex and duplex pumps. Explain how the pumped fluid lubricates a reciprocating pump. Calculate the discharge pressure of an air-driven pump when given the piston ration and motor air supply. Tell what kinds of pumps are used for metering applications. Describe metering pump lubrication techniques. Name the parts of a diagram metering pump and state the function of each. Explain the operation of a diaphragm metering pump. Describe the operation of a flexible-tube pump. Give an application for a progressing-cavity pump. Name one disadvantage of a seal-less magnetic-drive pump. Explain how to prepare a new centrifugal pump for operation. Tell which parts of a reciprocating slurry pump require the most maintenance. Tell why slight leakage through shaft seals is necessary. Name the type of stuffing box required for pumps operating under suction lift conditions. Give a typical application each for cotton, Teflon", and aluminum packing. Describe the procedure involved in replacing pump packing. Name three types of antifriction bearings. Name three factors to consider when preparing pump lubrication schedules. 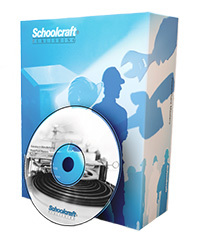 Describe a typical application for each of the following bearing seals: felt, leather, synthetic. Tell the two major maintenance problems encountered in rotary pumps. Explain how to identify worn piston rings in a reciprocating pump.